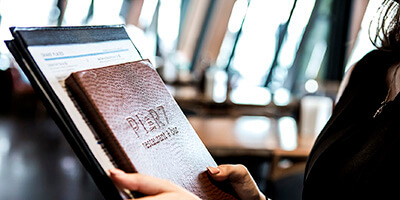 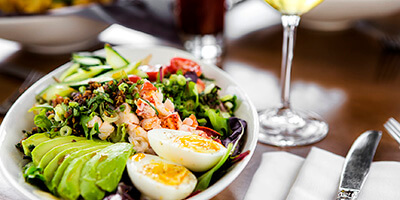 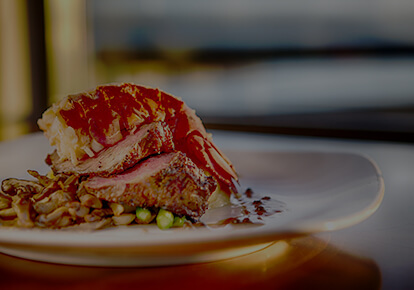 Experience boat-to-table cuisine and incredible waterfront views at Pier 7 Restaurant + Bar located just a few minutes by foot from Pinnacle Hotel At The Pier in North Vancouver’s charming Lower Lonsdale neighbourhood. 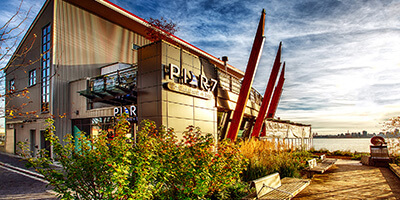 "We had a weekday dinner and Pier 7 on a beautiful summer evening. 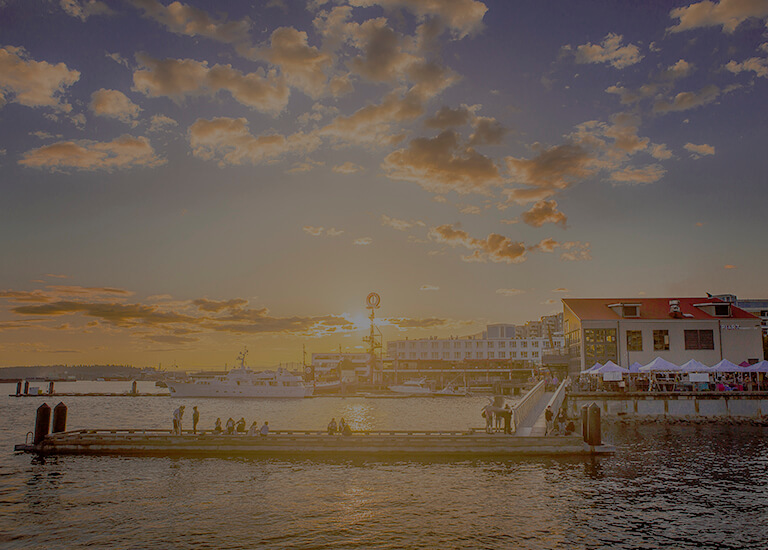 The patio is stunning - amazing location on the waterfront next to the seabus. 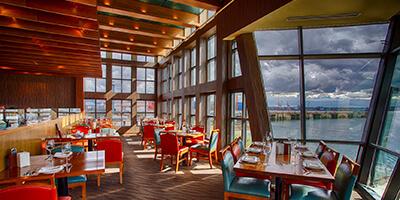 A sea lion swam by metres from the patio as we were having our dinner..."
There’s nothing quite like enjoying a gorgeous, fresh seafood dish with 180-degree views of Vancouver’s stunning shoreline, including the old-growth forests of Stanley Park and the bustling Port of Vancouver. The coast-inspired menu at Pier 7 Restaurant + Bar follows a boat-to-table philosophy, resulting in flavourful, creative dishes bringing together fresh, local ingredients and the best catch of the day.